February is almost over, but I had the honor of working on a poster for McDonald’s to celebrate Black History month. 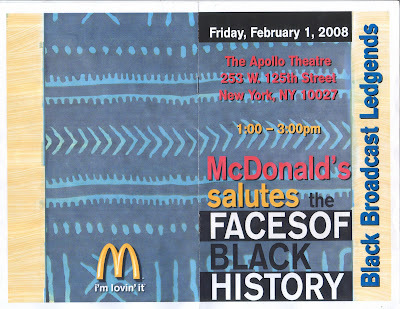 I created the backdrop which was also used in the program for the event at the Apollo Theatre. 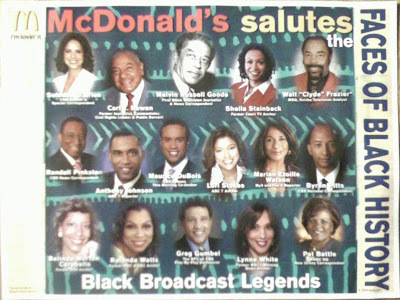 The poster is available in McDonald’s restaurants and honors Broadcast Legends. I had a great time meeting and talking to so many of the reporters that I grew up watching and continue to watch now. That is really cool Mike. I like the poster. Very Creative. I Love Black History Month even though I celebrate our history all year long. But it is good to have a time dedicated to that.